If a bed is made of sentences, then we take rest, converse with the unconscious, locate freedom, the intimate, night, dark, gestational silence, the forming of images and ideas — all within what can be built from an assortment of varied sentences. Sentences become our increment, lumber, and leisure. What is it about the sentence that encourages one to stretch out? “Poetry tells me I’m dead; prose pretends I’m not” . Can you elaborate on this statement? To put it in context, this line is embedded in a section where there is a momentary switch from prose to poetry: “I’m afraid prose won’t go deep enough.” A few lines later “And yet I go on in prose.” You suggest limitations of prose but a choice to continue in prose. Or maybe what is necessary is the movement between the two forms within the work? 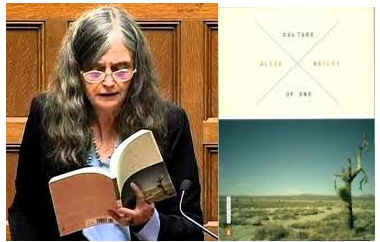 Alice Notley: “The Book of Dead” contrasts two states, that of Dead and that of Day. Day is what we have generally agreed life is; Dead is a world where boundaries are erased. It resembles dreams and is where the ghouls live.Poetry is more like Dead than like Day, but prose is more useful for describing what goes on in Dead — how it works. Prose is more useful for flat and general statement. Poetry tends to abolish time and present experience as dense and compressed. Prose is society’s enabler, it collaborates with it in its linearity. A poem sends you back into itself repeatedly, a story leads you on. One of the first pleasures of exploring the poet’s novel is conversation with other writers on the subject. I’ve been collecting thoughts. With gratefulness to all who responded, I patch together in this commentary many borrowed insights. One thing I’ve noted is when asking if the poet’s novel exists, I am often answered with another question as to what I mean by the “poet’s novel.” Kevin Varonne wrote “do you mean a novel that poets like or feels poetic, or do you mean a novel-in-verse kind of thing?” My answer is yes, I am interested in exploring a full spectrum of what one could mean by the term. Andrea Baker writes, “Cadence is on display. The narrative has an open endless.” I am fascinated with the brevity and compression of this response. Cadence is less rarely on display in prose. “Display” suggests a visual element, and cadence a musical concentration. The Poet’s Novel: What is it? Does it exist? 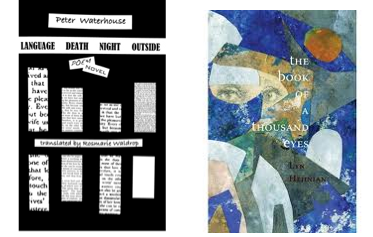 Let’s begin at the beginning, is there such a thing as a “Poet’s Novel”? If so how would one begin to define the various forms this form takes? In this commentary you’ll find a continuing exploration of this elusive form including: consideration of novels written by poets, conversations with poet’s who have written novels and with poets who are fascinated by particular novels by poets. I will be asking questions such as: what are the qualities of prose which tend to be classified as those of a poet’s novel and why? Why do poets turn to prose? And within a body of any given writer’s work (one who writes both poetry and prose) what is the relationship between the two forms? What purposes does prose fill which poetry perhaps does not? Where do we distinguish a line between forms? Does it matter? What of the verse novel? 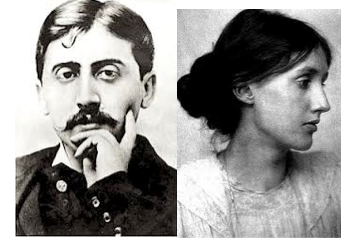 How does the poet arrive at the desire to write a novel and where to begin? I began asking these questions when I noted long ago that various novels are indispensible to poets.